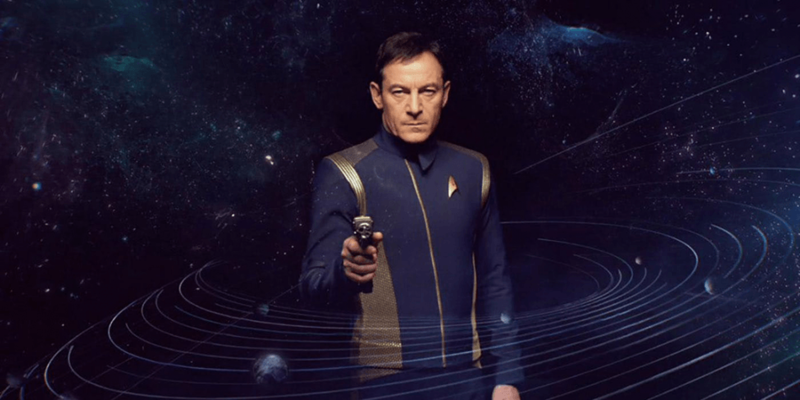 Last night Discovery killed off another Captain, this time though not was all as it seemed, we now know that Captain Gabriel Lorca (Jason Isaacs) was not the Lorca we all thought he was. In the last moments of episode 12 “Vaunted Ambition,” we saw Burnham (Sonequa Martin-Green) put all the pieces together and realise that her Lorca was in fact from the Mirror Universe. All the way through this season, we have been given little hints that many until recently (fan theories aside) just brushed aside as nothing more than Isaacs portrayal of a Captain during wartime. But the clues were there all along, for example, his flagrant disregard for Starfleet protocol, his lair of dead animals and weapons, the fact he sent Admiral Cornwell on a mission he knew she might not walk away from, and the fact he had a curious protective nature towards Burnham. Nevertheless, all these modest clues came to a head, with the reveal. This brings us to episode 13 “What’s past is Prologue” in this episode (which personally is one of the best Star Trek episodes I have seen to date) we see Lorca gain the upper hand against the Emperor and take over the I.S.S. Charon, with the help of a familiar face in the form of Cmdr. Landry (Rekha Sharma), although this victory was short lived. At the end of this stunningly directed episode, and in what can only be called a tremendously choreographed final showdown between Lorca and Georgiou we see the story of Captain Gabriel Lorca come to an end with a sword through his chest, and to make it even more finite he is then disintegrated into a million pieces by mycelium spores. 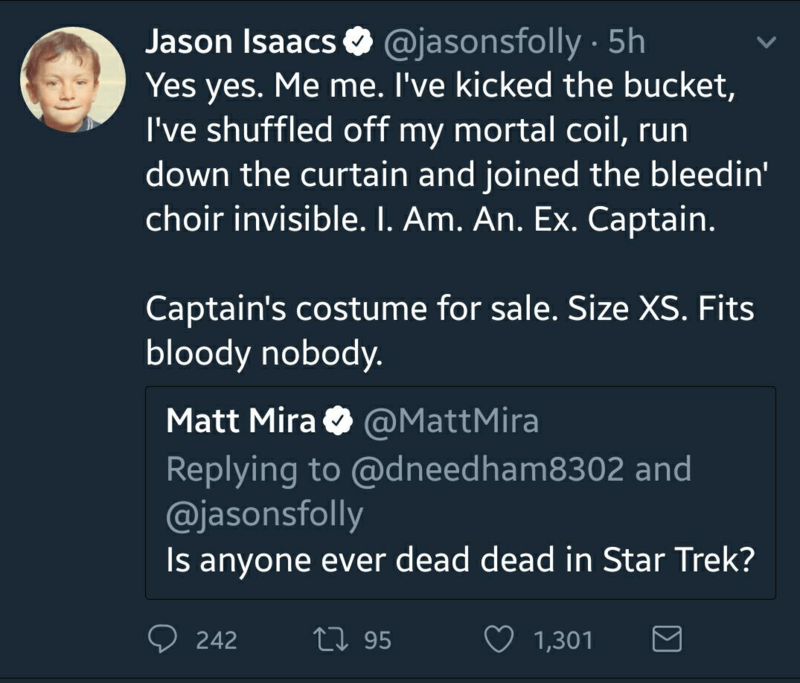 Was this a sudden death done for shock factor or did Isaacs know about this from the moment he took the part, I mean when an actor signs to Trek it’s normally for the long haul isn’t it? And is he truly dead! In a series of interviews, the man behind the mirror mask clarifies a few things and also kind of shoots down hopes for his return for season two. “There was a Prime Lorca, he was captain of the Buran in the Prime world. He swapped with him and found himself captain of the Buran. This never came out, this backstory detail we never put in the dialogue: Although Lorca spins this story having had to sacrifice the men on Buran and had to blow them up to save them from Klingon torture. “We don’t know anything about the fate of Prime Lorca. Is he as interesting as Mirror Lorca? What is his taste in fashion? Does he wear leather coats, does he wear puffy-sleeve shirts, does he have a goatee, does he blow-dry his hair? Who knows? We know nothing. Or is he that different? 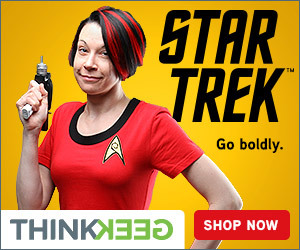 Frankly, I mean, how different are any of us from the Mirror version of ourselves? They say we’re all five meals away from being savages. This particular administration in America has brought some of the ugliest parts of human nature out from in the shadows. However, during one scene in this weeks episode, the fate of Prime Lorca was kind of sealed when, it was explained that while on a mission to secure allies, coming under fire from the I.S.S. Charon, the Buran entered an Ion storm too evade, and in doing so the transporter signals of Prime/Mirror Lorca were swapped so Prime Lorca ended up in the Mirror Universe, so although it is not! Set in stone as to the fate of his Prime counterpart, it is pretty much hinted that he dies when the Buran was destroyed. So, while we might! 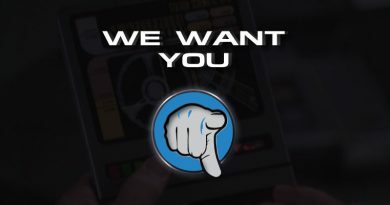 have seen the last of Captain Lorca we have all grown to love or hate, depending on how you feel not only about him, but the series as a whole, there is one undeniable fact, Jason Issacs has firmly cemented his legacy as one of the captains of Star Trek. 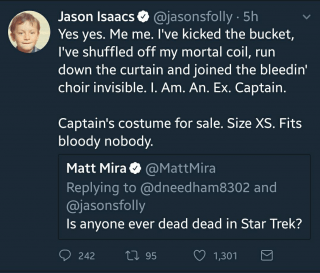 Personally, I will miss not only Lorca, but Jason too, he has been a breath of fresh air not only to Discovery, but also to Star Trek. 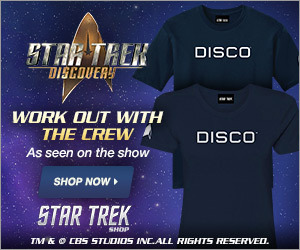 If you haven’t signed up to watch Discovery yet follow the links below to sign up now.